Mast cells are an important part of the immune system and are found throughout the body, often in tissues that interact with the outside world such as the gastrointestinal and respiratory tracts, and skin, as well as the spleen, bones, liver and lymph nodes. They are best known for releasing histamine in allergic reactions, but mast cells can release many other chemical mediators as well. The term Mast Cell Disorders to describes the family of conditions that affect the number and functioning of mast cells in the body. These include the various forms of mastocytosis, mast cell activation syndrome (MCAS), and familial alpha-tryptasemia. In Mastocytosis the body produces too many mast cells. Mastocytosis often presents first in the skin, with persistent pink or dark lesions that may itch. Most adult patients are found to have a mutation in the gene for a receptor on the mast cell membrane called c-kit that plays a role in how the cells reproduce and die off. In children, a small number will have that same mutation but the majority will not. Whereas adult-onset mastocytosis persists throughout life, in children about 60% outgrow their skin lesions before adulthood. Nearly all adults diagnosed with cutaneous (skin) mastocytosis will go on to have systemic mastocytosis, where increased mast cells numbers are found in other body tissues beyond the skin. Most children do not go on to have systemic mastocytosis. Estimates are that about 1 in every 10,000 people has the most common form, indolent systemic mastocytosis. In Mast Cell Activation Syndrome (MCAS), patients have normal or near normal numbers of mast cells but a range of symptoms arising from the unusual activation of mast cells. This is relatively new diagnosis, and the process by which the cells are unusually activated is not well understood. It is thought that in some cases the mast cells are easily triggered to release their contents. The symptoms can be similar to those in mastocytosis and people with MCAS can suffer from frequent anaphylaxis and sensitivity to a range of medications, foods and inhaled chemicals. The symptoms caused by mast cell mediators such as histamine, prostaglandins and leukotrienes can be treated in a similar way in both conditions. There are not yet any estimates of the prevalence of MCAS, nor is it understood whether people can recover from MCAS or whether it is always a life-long condition. Among our members we have some people whose symptoms have improved considerably with treatment. Tryptase is one of many chemicals produced by mast cells. Researchers have recently identified people who make extra copies of the alpha tryptase gene. This leads to increased levels of tryptase in the blood. Having extra copies of this gene may or may not cause symptoms. Some people with this genetic trait, have symptoms similar to those in mastocytosis and MCAS, in particular food intolerances with abdominal pain and diarrhea, as well as flushing and swelling of the skin and generalized aches and pains and dizzy spells. This condition can be excluded if the tryptase level is less than 8ng/ml. Click here for information from the National Institutes of Health about this newly identified syndrome and click here to download information from Dr Peter Arkwright of Royal Manchester Children’s Hospital, one of the researchers involved in making this discovery, about how to be tested for this mutation in the UK. Two epinephrine auto-injectors (Epi-pens) are recommended for patients with any of these conditions, as anaphylaxis can occur unpredictably, even at first exposure to a trigger. Symptoms may vary, as no two patients are exactly alike. Itching, swelling, blistering of skin lesions. Lesions can swell when rubbed and in children may blister. Children tend to outgrow blistering. Oral H1 antihistamines, including first generation H1s such as hydroxyzine can decrease itching. Good hygiene and keeping skin well moisturized can help minimize skin discomfort. MCAS patients can experiences hives and dermatographia but do not have skin pigments as in mastocytosis. Gastrointestinal symptoms include acid indigestion, diarrhoea, bloating and severe abdominal cramping. These are common in systemic mastocytosis but often occur in cutaneous mastocytosis, MCAS and HATS as well. Symptoms often respond to treatment with H2 blockers, proton-pump inhibitors and/or sodium cromoglycate. Anaphylaxis/Allergies/Reactions People with mast cell disorders have an increased likelihood of having anaphylaxis (a serious allergic-type reaction with symptoms of faintness, itching, vomiting, diarrhoea, sometimes hives and swelling in the throat), with or without evidence of typical lgE-mediated allergies. Flares can vary in severity; not all will lead to full anaphylaxis. Triggers can include heat, cold, vigorous exercise, alcohol ingestion, airborne chemicals, foods, bee and wasp stings, anaesthetics, contrast media, emotional stress, over-the-counter painkillers such as aspirin and ibuprofen, opiate pain medications and other medications. Anaphylaxis can present atypically, for example with severe hypotension but without throat swelling or hives. Daily use of anti-mediator therapy can make these reactions less severe. Skin Flushing can occur in response to triggers such as extremes in temperature (cold or hot, or changes), vibration, inhaled chemicals, and stress. Trigger avoidance along with anti-mediator treatment (H1 s, anti-prostaglandins if tolerated) can help. Headaches, Fatigue, Irritability and Brain “Fog” are common in mast cell diseases. Generalised fatigue and a lack of concentration are reported in patients of all ages. These symptoms can change throughout the day, depending on exposures and timing of medications. Sodium cromoglycate, anti-leukotrienes and avoidance of triggers can help. Patients can also become irritable when symptomatic. Parents describe “masto rage” that resolves when anti-mediator therapy is given. Bone problems are common in SM, though patients with CM can also experience bone pain. Adults with mastocytosis are often advised to take calcium and Vitamin D supplements, and should be regularly screened (bone densitometry) for bone problems (osteopenia or osteoporosis, rarely osteosclerosis) and treated with bisphosphonates if needed. Bone pain can be difficult to treat. Some patients report urinary symptoms similar to interstitial cystitis such as frequency, urgency and burning. These symptoms sometimes improve with H1 blockers such as hydroxyzine and anti-leukotriene medications. 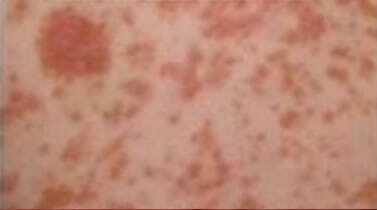 These photos show commons forms of skin lesions in children. Mastocytosis is most often suspected because of the presence of skin lesions. Skin lesions are generally diagnosed via punch biopsy (a small skin sample stained for mast cells and inspected under the microscope) to confirm the presence of an abnormal number of mast cells. Mastocytosis may also be suspected in people without skin lesions but with symptoms of mast cell activation, including anaphylaxis to wasp and bee stings. In these patients, the first step may be to test for the chemical mediators released by mast cells. Tryptase, one mast cell mediator, can be tested via blood test. In adult mastocytosis patients it is often (but no always) elevated. It can be helpful in identifying patients in whom a bone marrow biopsy is absolutely warranted, though a lower tryptase level is possible even in systemic mastocytosis. A level of greater than 20 ng/ml is suggestive of bone marrow involvement. Tryptase should be tracked over time for trends and to decide when further bone marrow biopsies are needed. Other mast cell mediators can be found via urine test, including metabolites of histamine and prostaglandin D2 and these may be raised when tryptase is not. Recently, it has become possible for doctors to perform a blood test for the most common genetic mutation in mastocytosis. This blood test for the D816V mutation in cKit (a receptor on the mast cell) can help confirm a diagnosis of mastocytosis and indicate whether a bone marrow biopsy is warranted. Scans check for enlargement of the liver or spleen if systemic disease is suspected. All adult patients should have periodic bone scans to assess bone manifestations and consider treatments to prevent osteoporosis and fractures. Bone Marrow Biopsies are performed to confirm a diagnosis of systemic mastocytosis, and to understand which form of the disease is present and track progression. Pathologists look for mast cells that have a distinctive spindle shape, are present in sheets or in unusually high numbers. There is some disagreement in the medical community about how to diagnosis MCAS. The current consensus criteria for diagnosis include three elements: 1) symptoms of mast cell activation in multiple body systems 2) a response to anti-mediator treatments (antihistamines, anti-prostaglandins, anti-leukotrienes, and/or mast cell stabilisers) and 3) elevated mast cell mediators during a reaction as compared to baseline levels when no reaction is present. The most commonly available test is that for tryptase in the blood. It should be noted that tryptase may be elevated only during a flare of symptoms and go back to baseline, or may not be elevated at all. Other tests for mast cell mediators include urine testing for the histamine metabolite n-methyl histamine, prostaglandin D2 or beta prostaglandin F2-alpha or leukotriene E4. These tests are done by specialist laboratories and samples must be handled properly. It can be difficult to capture both a baseline sample and one during a reaction, making it difficult to meet the third criterion in practice. A challenge in meeting the second criterion is that some people have negative responses to inactive ingredients in anti-mediator treatments, making it difficult to discern a positive response. Symptoms of postural orthostatic tachycardia syndrome (POTS) and Ehlers-Danlos Syndrome (EDS) are being increasingly being recognised in a sub-group of MCAS patients. 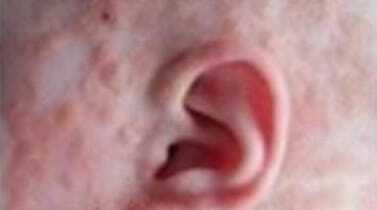 There is increasing agreement in the international medical community that there is a considerable population of people with symptoms of mast cell activation, some of whom fulfill these criteria for diagnosis. There is a considerable unmet need for research in this area. HATS is only just being identified in a small group of patients. It is suspected in people with a raised tryptase (greater than 20 ng/ml) but no evidence of mastocytosis. Genetic testing for this mutation is presently only available via Dr Peter Arkwright in the UK, and samples must be sent via a doctor. The symptoms of mast cell diseases can be chronic and debilitating. In MCAS, cutaneous mastocytosis, and indolent systemic mastocytosis the focus of treatment at present is on minimizing the symptoms caused by mast cell mediators. A typical patient will use a combination of H1 blockers, H2 blockers, proton-pump inhibitors, anti-leukotriene medications and mast cell stabilizers to manage their particular set of symptoms. In SM they will also be given calcium and Vitamin D to prevent bone problems. Parents will need advice on managing blistering, how to manage flare-ups of the disease, and when to seek emergency treatment. These forms of mastocytosis involve more rapid production of mast cells and are associated with other changes in the bone marrow that often require aggressive treatment. People with these diagnoses will be seen by a haematologist. We can help connect patients and their doctors with the most experienced haematologists in the country (or abroad if needed) and can let you know about clinical trials that might be available. The newly approved medication, Midostaurin, is the first medication approved specifically to treat advanced forms of mastocytosis. Unless contraindicated, mastocytosis and MCAS patients should carry two epi-pens at all times along with a set of emergency medications (H1, H2, anti-leukotrienes, sometimes steroids) to take during a serious reaction. They should receive advice about when to use these medications and when to seek emergency care. In addition, patients should know that they are at increased risk of anaphylaxis from certain anaesthetics, contrast dyes and from opiate painkillers. See our website at www.ukmasto.org for our Anaesthetics Protocol. It is good practice to monitor blood counts and tryptase for all adults with mastocytosis and for any child in whom there is a suspicion of systemic disease on at least an annual basis, and more frequently in more advanced disease. Children with less extensive disease will need follow up to ensure the parents can manage blistering and any symptoms of mediator release. Bone scans should be done on a regular basis in systemic mastocytosis. As MCAS and HATS are relatively a new diagnoses there is not yet a standard of practice regarding monitoring, though we advise annual tryptase and full blood counts to ensure early warning of any changes in health status, as well as monitoring of any other medical conditions that co-occur.